The F.I.G.H.T. 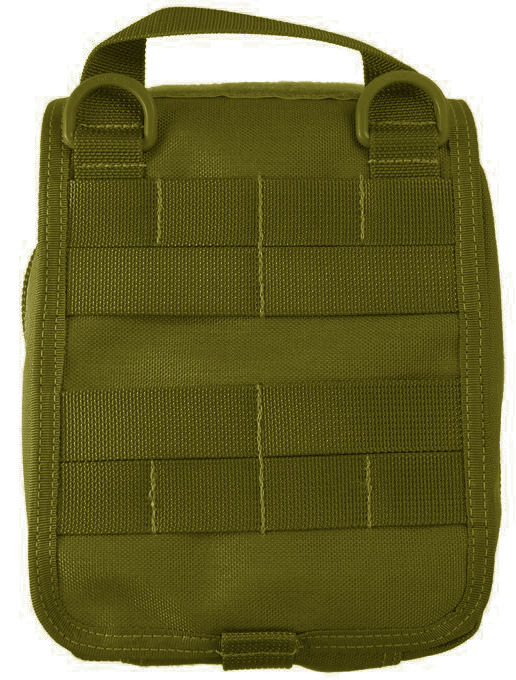 medical pouch is a MOLLE Compatible tear-away pouch that can be pulled away from its MOLLE-compatible base. The F.I.G.H.T. medical pouch is Maxpedition's third collaboration with Darrin Talbott of Extreme Gear Labs (EGL). 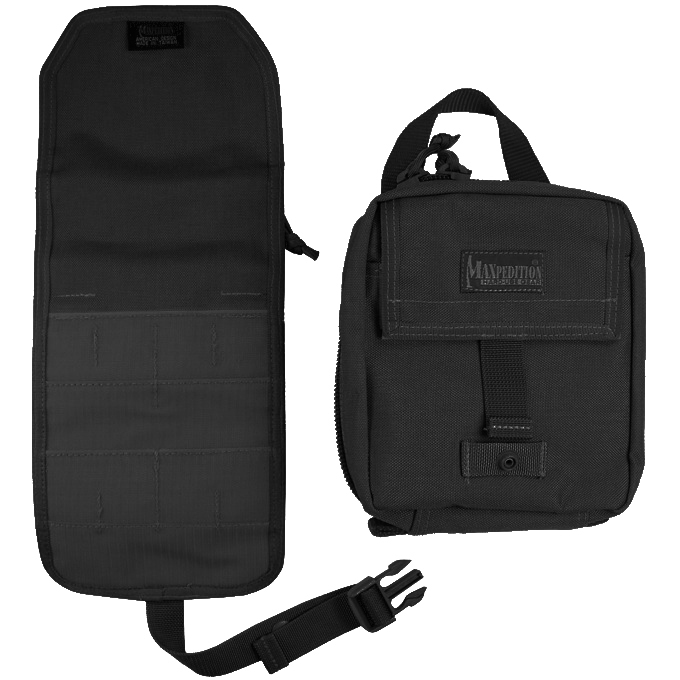 This is a MOLLE Compatible tear-away pouch. It can be pulled away from its MOLLE-compatible base--the idea being quick removal, especially if the casualty is wearing it. Its size is approx. 6" wide x 9" tall x 3" thick but can expand up to 5" thick when fully filled. It will easily fit a 500cc IV with room for lots more. This kit is put together extremely well as a mid to high end personal trauma kit. 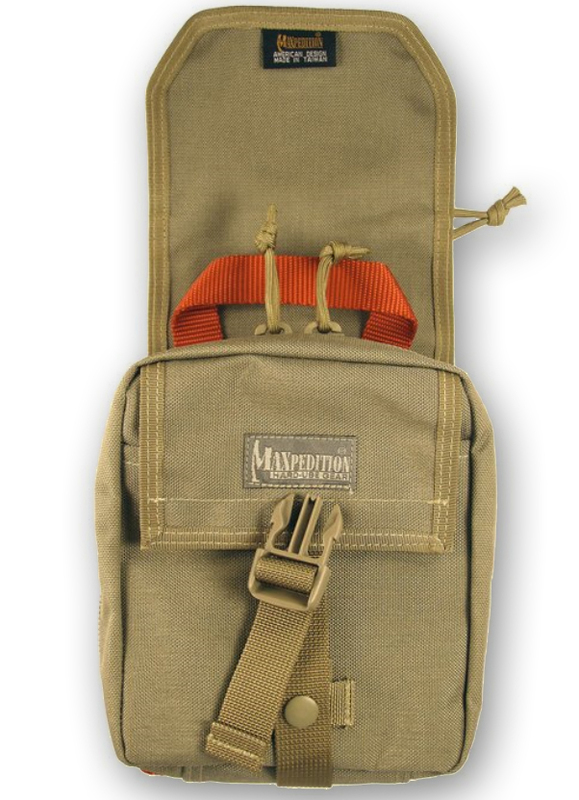 The Maxpedition bag is top notch and the included components are well thought out. I have priced out the individual components and I am ok with paying a premium to Tactical Development Group for an excellent utilization of space in the pack. The customer service at Rescue-Essentials has also been impressive, thank you!